 I’ll make a presentation at Droidcon Spain 2014@Madrid. In my session, I’ll talk about the below topics. Google has released AndroidWear. It looks be very interesting. So I immediately developed and released the Android Wear Application, the new version, “Sekaiphone Watch”. It enables Real-time Translation by using Wearable devices. Through this developing experience, I’ve got some tips. So I’d like to introduce these topics (Overview, Application Introduction, AndroidWear Development tips, and so on) with some demonstrations.